Jeff Neudorf was eight years old when his family moved from the north end of St. Catharines to a farmhouse on Highway 8 on the outskirts of town. It was 1962 and he suddenly found himself growing up on a hobby farm that included 12 acres of grapes (Concords, Catawbas and Niagaras). Since then the homestead has been the hub for the Neudorf family, the spot where special events and holidays are celebrated. 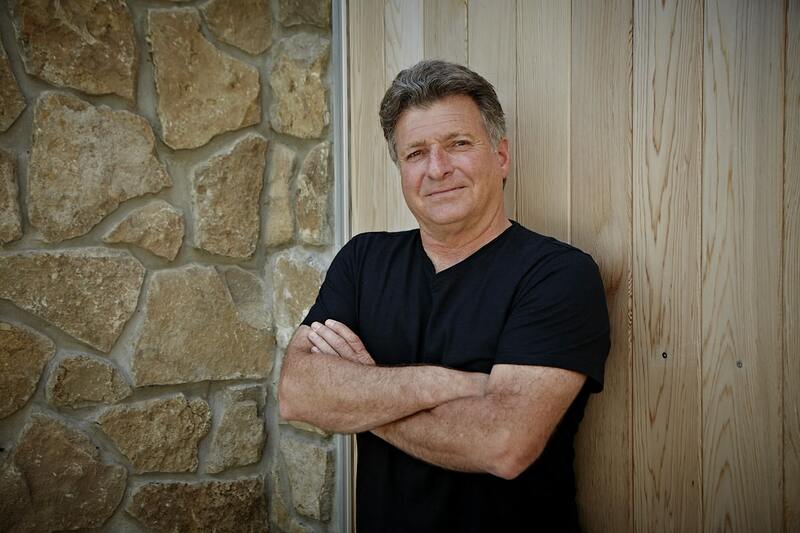 “It was never a case of going to see grandma and grandpa, my children said we’re going to the farm,” Neudorf explains, adding that the third generation now plays amidst the vines and swims in the pool. In 2000, the family decided to replace the old native grapes with vinifera grapes. They signed an agreement to supply Pinot Noir exclusively for the specialist Chardonnay and Pinot Noir project, Le Clos Jordanne, overseen by Constellation Brands/Vincor and the Boisset family of Burgundy. “For the next 10 years, this was La Petite Colline (the little hill),” explains Neudorf. By the end of the original lease, Le Clos Jordanne had effectively been shuttered. 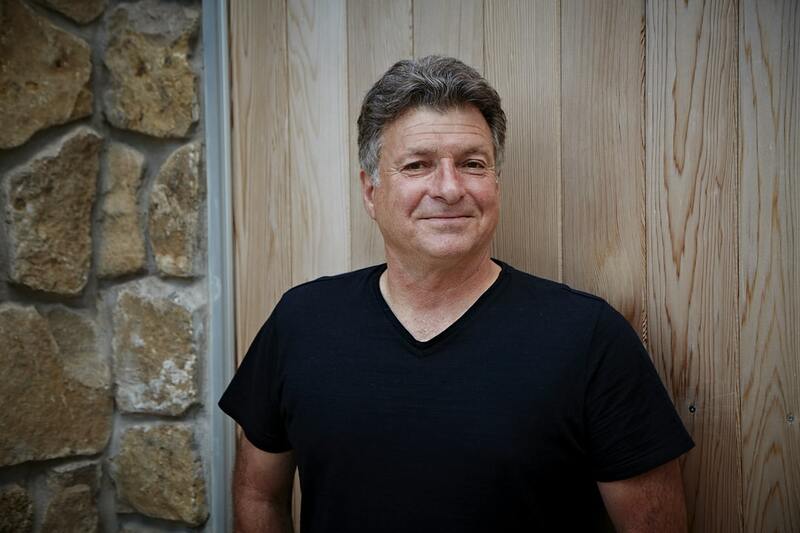 The Neudorf’s grapes followed winemaker Thomas Bachelder to his new venture with Domaine Queylus. Under the new arrangement, the family negotiated getting two barrels of the Pinot Noir from their vineyard. 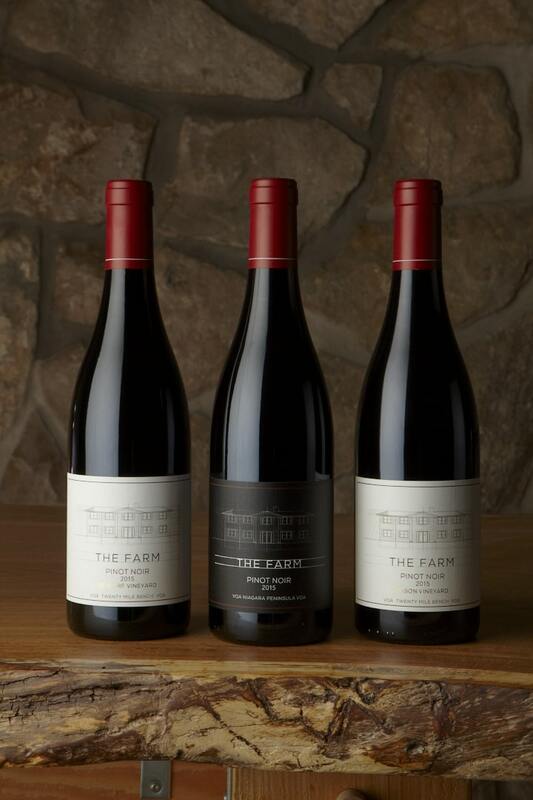 They bottled the first wines under The Farm label in 2012. “We tried to get a licence but realized that we’re so small, it would be easier if we were just under Domaine Queylus’ licence as a brand within a brand,” he says. “That’s what we did until one year ago, when we did get our licence.” What started our as two barrels quickly became four and then 10. 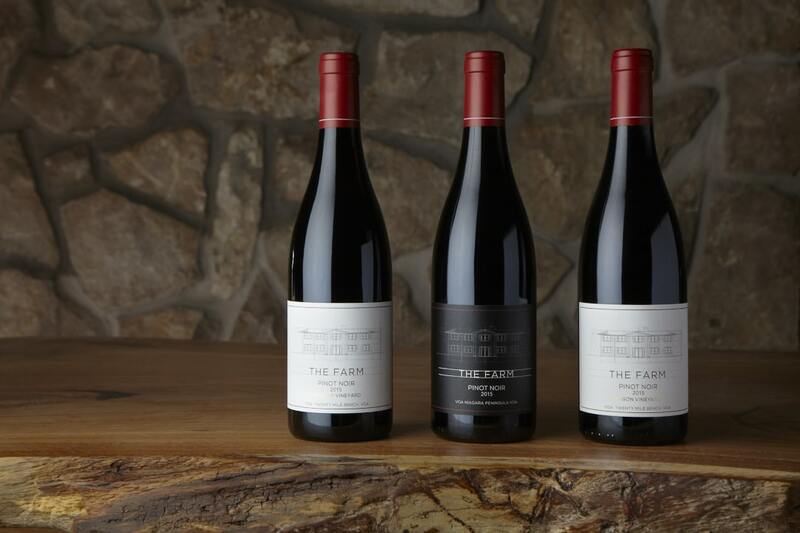 For the past three vintages — 2015, 2016 and 2017 — The Farm’s production has hovered around the 20 barrel mark. Even with the growth, there’s still only two barrels of the family’s estate vineyard in the mix. The additional fruit comes from sites across Niagara. Once that first crop came in, the wine showed so well everyone thought the Mason Vineyard merited release as a standalone wine. It joined the Neudorf Vineyard as a single vineyard selection from The Farm in 2015. The two small lot wines will officially be released at the end of September, while the larger volume black label wine is offered for sale via the website and to restaurant clients through the year. The black label retails for $22, while the single vineyards are $52 per bottle. 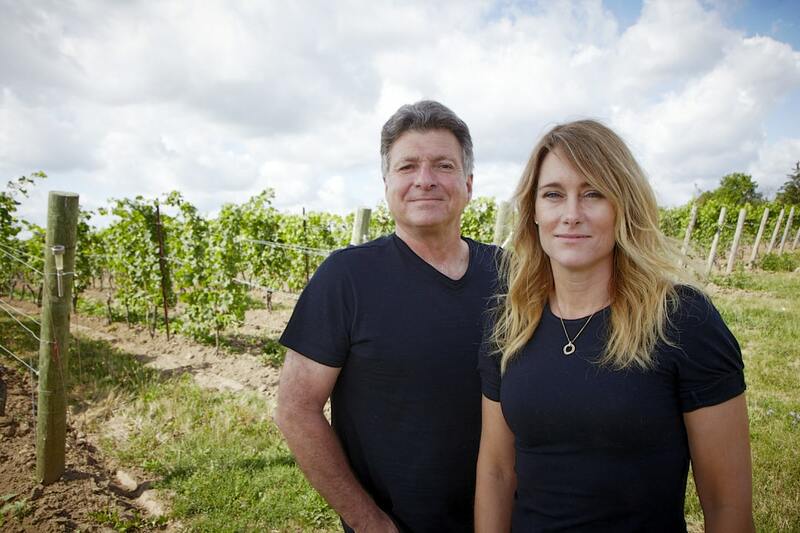 Aside from being a way to enjoy the fruits of their labour — Neudorf explains his father is likely the winery’s biggest customer — The Farm is a way to keep the property in the family.